On Saturday 14th March Pastry Barn presents “Breakfast at Tiffanys” at The Lyme in Brades. 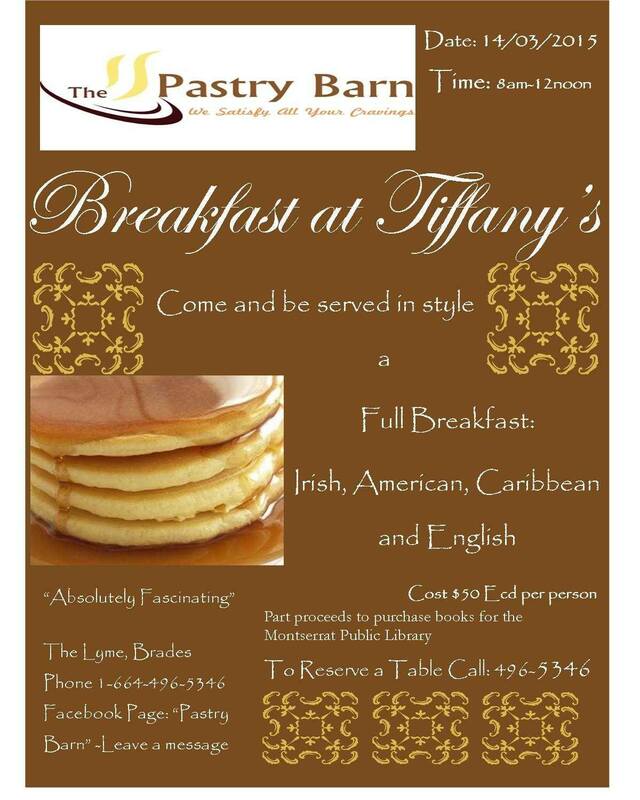 Come and be served in style a Full Breakfast: Irish, American, Caribbean and English‎. Cost $50 ECD per person inclusive of Tea or Coffee. Part Proceeds in aid of The Montserrat Public Library. Tickets on Sale at The Library or Pastry Barn.